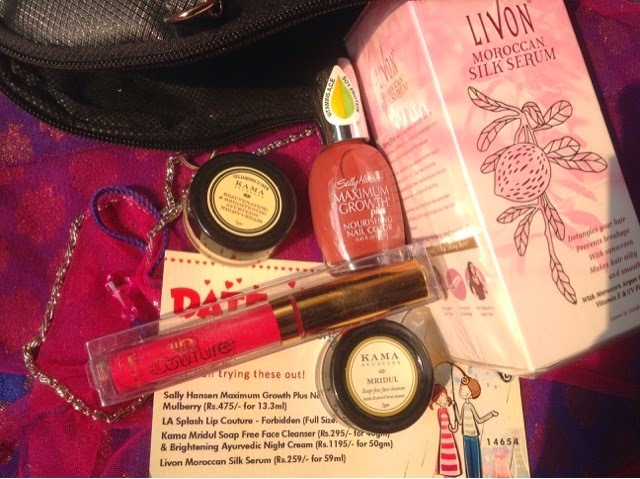 I received this in my Feb 2015 FabBag .So I shall plunge into the review directly . 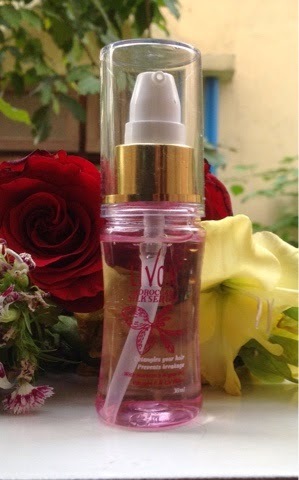 Price- Rs 149/- for 30 ml .Yes, the carton looks big but it contains a very tiny little bottle . 2.Indications for how to use it , illustrated on the packet ,so easy and convenient to use. 3. Coming to the bottle inside , it is a tiny 30 ml clear ,transparent ,plastic bottle with a pump dispenser .The clear bottle helps in knowing how much product is left and when you need a new one. 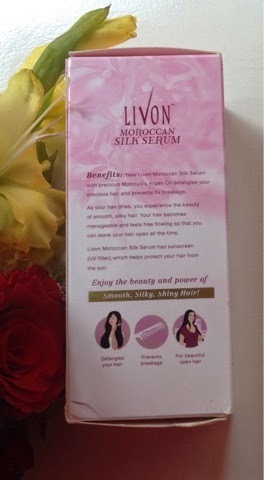 4.The serum contains Moroccan Argan oil which helps in detangling hair . 5. Contains vitamin E too .Though being a doctor I know that adding precious oils and vitamins to something that only coats the strands of hair is of no use . 6.Contains UV filters , this is something very few serums contain and this may actually help the hair in the long run .Sun can discolor and damage the hair , so adding sunscreen to hair serum is a very good idea indeed. 7. Upon using this clear serum, I find that it has medium consistency and is easy to use .It definitely helps in detangling the hair and adding a smooth look and vibrant shine to the hair . 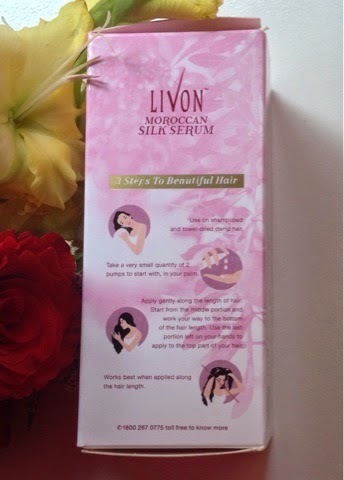 The instructions are given on the pack with pictures .Two drops is all you need .It is to be used on wet towel dried hair only on the lower half to the ends of the hair , gradually making your way up .The last part can be used on the top most part of the hair to impart shine . 1. 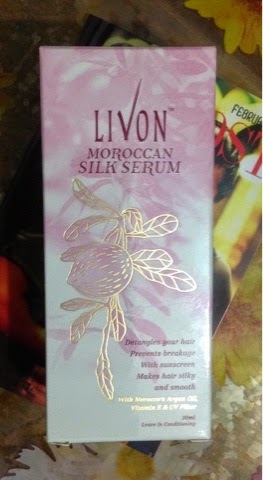 It is slightly more expensive than its regular Livon serum and other hair serums. 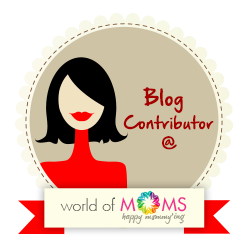 2.The cap does not sit tightly on the bottle so spills can happen . 3. It has hardly any fragrance , though I prefer it that way but this may be a negative point for some . FINAL VERDICT - I give it a 4.5 /5 .Minus points for the price and the lid which makes it inconvenent to carry .This product does deliver on what it claims meaning gives smooth and shiny hair and also promises to give sun protection . 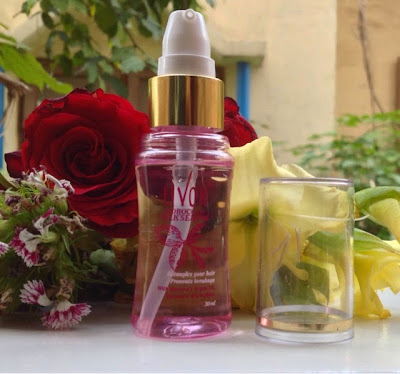 Overall a good enough product to detangle hair and add a smooth shine to them like other serums out there only thing outstanding about it is the UV filters . So go on try it .